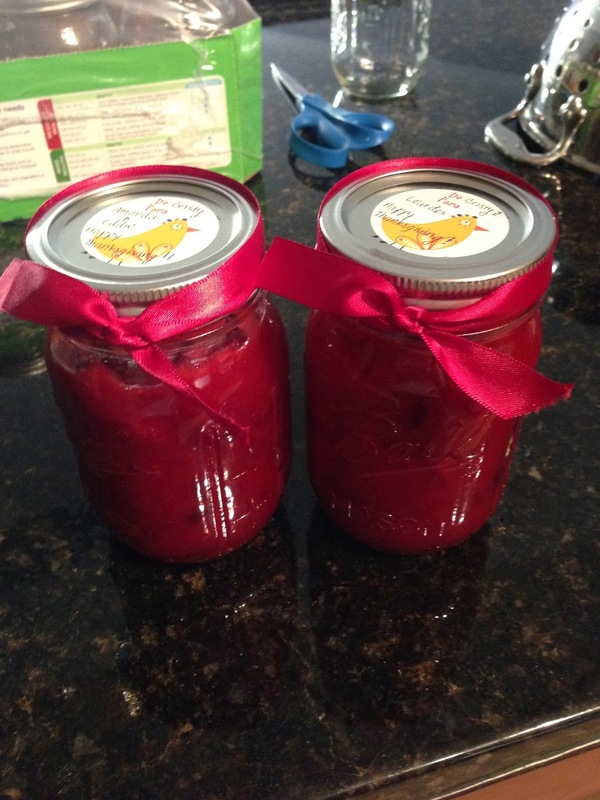 Easy Cranberry Sauce for Thanksgiving! 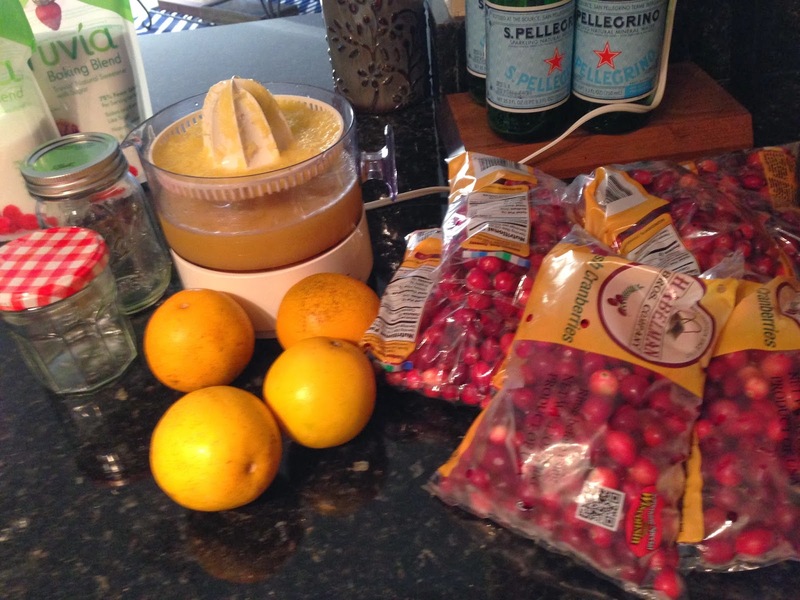 Over the last few years, I’ve made it a tradition of mine to make the cranberry sauce for my family gatherings. Through some practice I think I’ve mastered a simple recipe, so simple anyone can do it! 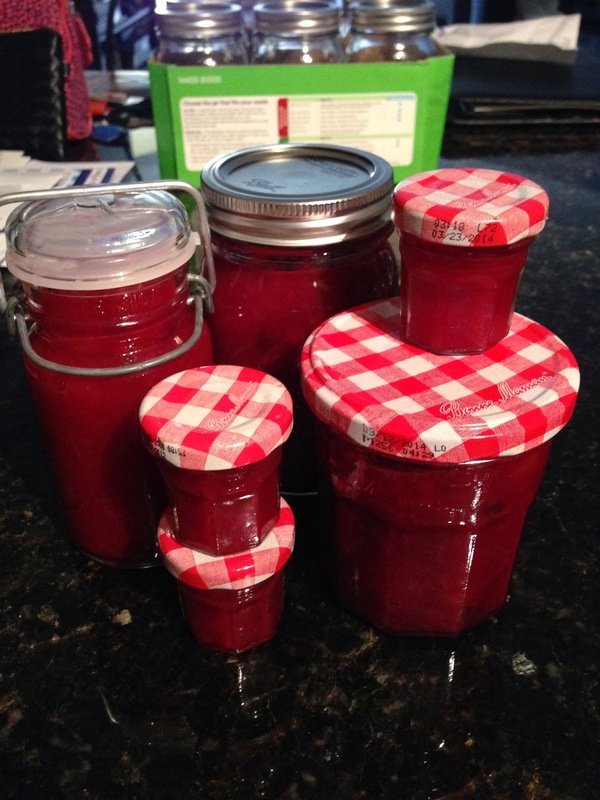 Trust me, you’ll never want to buy canned cranberry sauce again and you shouldn’t! Now, I did try something new this year, and that is using Truvia instead of real sugar. It tastes great as well! But of course you can use real sugar if you’d like. Note that I also used real oranges with my citrus juicer so I could avoid any additional sugars & preservatives contained in store bought orange juice. If you have a citrus juicer its super easy! Also, please remove the cranberries from the bag and rinse thoroughly. Once you have 3/4 cup of orange juice place it in a deep sauce pan on the stove at medium-high heat and then add the 1/2 cup sugar. Once those 2 ingredients are in the sauce pan, gently add the washed cranberries. Now the fun begins…you’ll want to stay close by, because once the contents of the pan start getting heated the cranberries will begin to pop and the contents will begin to simmer. Keep stirring and keep an eye on it. It will take about 15-20 mins for all of the cranberries to pop and for you to see a rich, dark red color of the sauce. Once you see the sauce begin to take shape and the cranberries have popped and have shed their round shape you can move the sauce to a bowl and set aside for cooling. The fun part about cooking is trying different recipes and since this one is simple, you may want to try other suggested recipes I came across that substitute the orange juice for water and add a 1/2 teaspoon of cinnamon. Maybe you would prefer that one?! Who knows, but when it comes to cooking don’t be so intent on following the recipe exactly and try new things. There are tons of cranberry sauce recipes that also include Gran Marnier (YUM!) and other great ingredients. 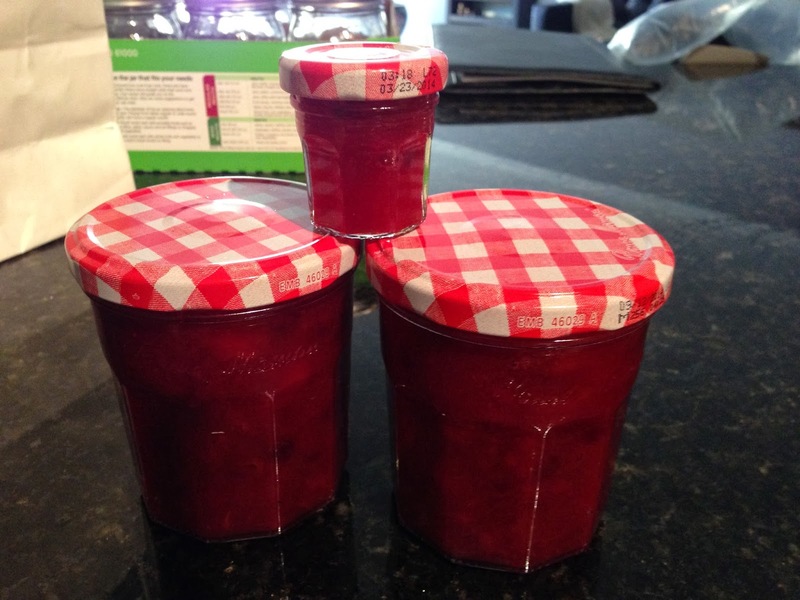 This year, I had the idea of making a few batches of cranberry sauce and giving them away to friends and family. I bought a pack of 12 mason jars online at Bed Bath & Beyond but also came across empty glass jars I kept from previous jams/jellies I purchased. Those glass jars are great to use as well and they’re already decorated! Check them out below! Great idea for simple gifts and a way of saying thanks to friends, family, co-workers, neighbors, etc. If you have any additional questions regarding this recipe, please feel free to contact me.